A range of headsets to boost customer satisfaction. Sound demo is for illustration only. Actual product may vary. Get the best solution for your organization and specific use case. Our experts can advise on products, compatibility and UC deployments. We offer free trial units for companies who plan to deploy 50+ headsets. Get the best solution for your specific use case and advise on products, compatibility and UC deployments. Planning to deploy 50+ headsets? Get a free trial. For product support and warranty-related questions, visit our support pages where you can find user manuals, FAQs, videos, contact information and more..
HD Voice lets you have lifelike, vibrant conversations. You won’t have to struggle to hear what the other person is saying. Get a range of up to 150 meters with DECT technology. Multitask and move freely around the office while on a call. Works out of the box with all leading UC applications and softphones. Easy to set up, connect, and use. Control calls directly from the headset. Answer and end calls, adjust volume, and mute the line with the press of a button. 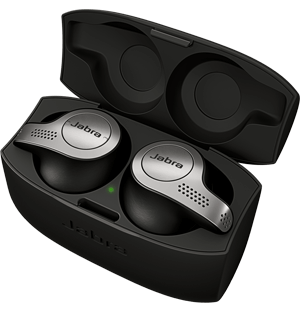 Jabra SafeTone™ includes Jabra PeakStop™ and Jabra IntelliTone™ - enhanced hearing protection technology. It automatically limits the average volume exposure during your work day and keeps it within acoustic standards. Customize your settings with Jabra’s software applications. You get full integration and remote call control with the latest generation of softphones. Complies with DECT security requirements to safeguard against eavesdropping. 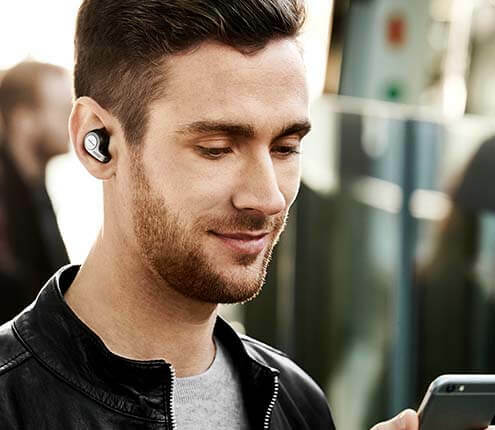 A secure choice for high value conversations with Jabra-patented headset-to-base pairing.